You know, gentle reader, Mrs Chrisparkle and I are extremely lucky to go to all sorts of shows as often as we do and I do try hard not to take that privilege for granted; nevertheless, occasionally, something is booked and we think, “ok, I suppose we’d better go”, after a hard day, when secretly we’d prefer to vegetate in front of the telly. We’re only human. 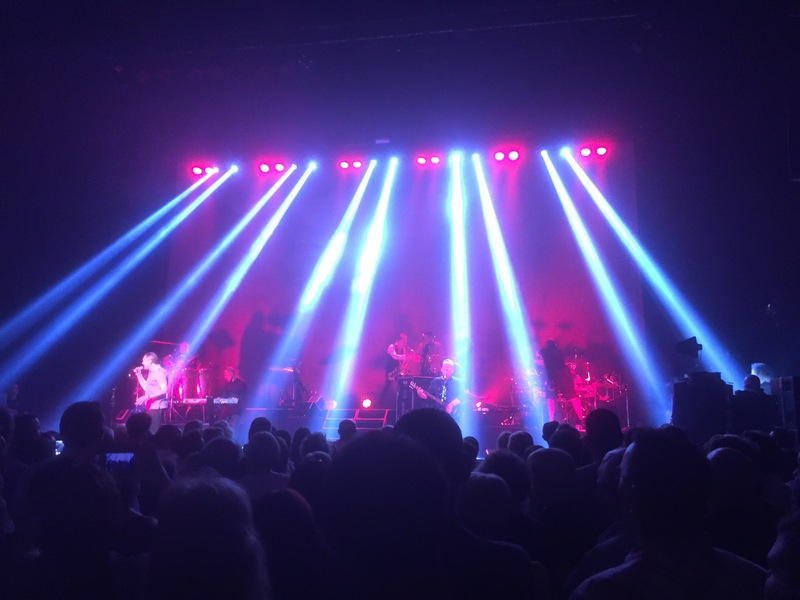 However, from the moment I heard that UB40 were going to play the R&D, and that they were going to take out all the stalls seats so that it would be largely standing, my excitement antennae went into quivering overdrive. I haven’t genuinely looked forward to seeing a show so much in ages. 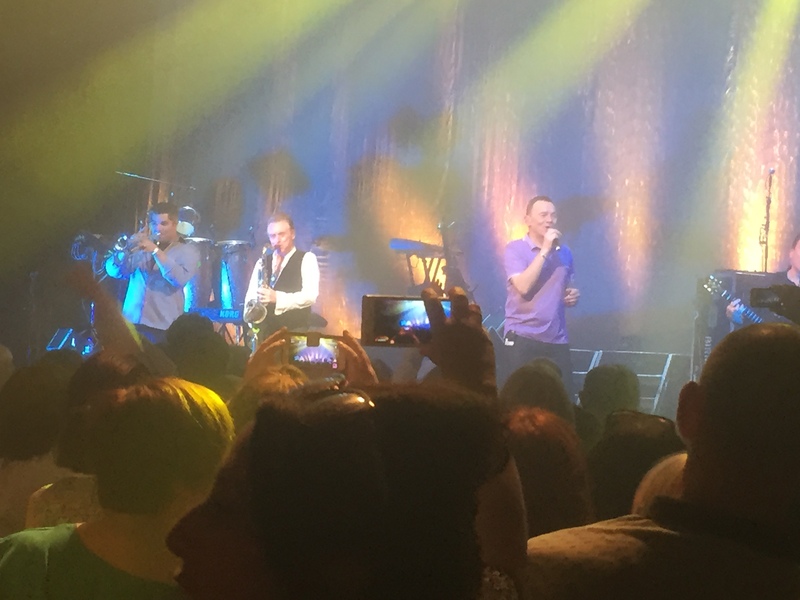 Admittedly, over the last twenty years or so, I’ve probably only given UB40 the occasional glimpse of attention, as more modern performers (not to mention real life) get in the way of one’s more youthful musical heroes. 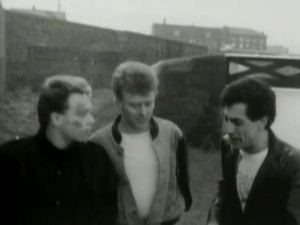 But ask anyone who knew me back in 1983/84 and they will tell you I was hopelessly addicted to UB40, especially Labour of Love and the remarkable half-hour video that accompanied it. It showed Ali Campbell falling in love, getting jilted, and being in with a generally bad crowd of petty criminals and beaters-up of cops (not that the police did themselves any favours in the story, but that’s another matter), involving betrayal and revenge. All shot in a very atmospheric black and white. The highlight for me was the fantastic Johnny Too Bad, filmed along a canal towpath with Ali, Brian Travers and Norman Hassan, arrogant and aggressive, in trouble but they don’t care because they’re all mates together. It really appealed to the streetwise part of me that I never had. Johnny you’re too bad, woy, woy! 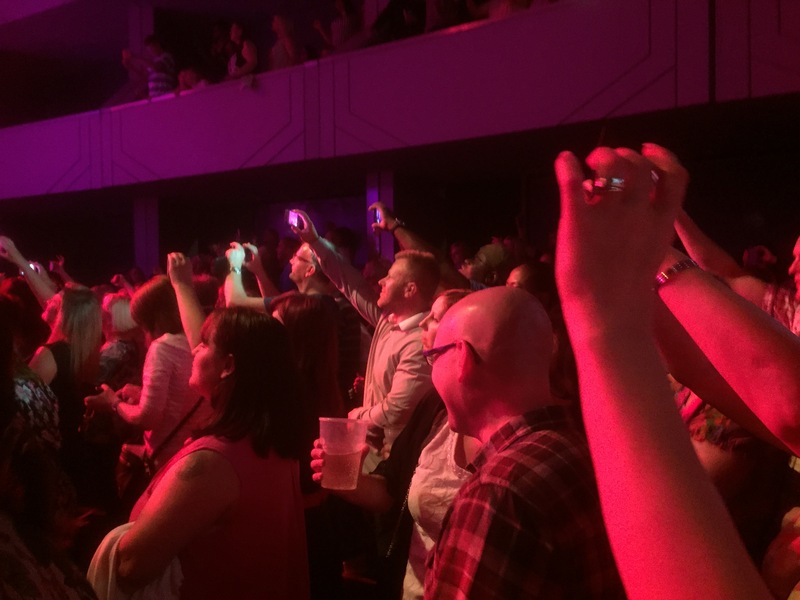 The Derngate auditorium underwent a transformation for this show. The only other time I’ve seen it denuded of seats was for the very different but nevertheless brilliant Flathampton. How do they do it? Where do they store all the seats? Is there some magical industrial sized spindle that turns around 180 degrees so that all the seats hang upside down, subterranean? Probably not. Whatever, the space that remains works amazingly well for a concert like this. Pretty good sight lines abound unless you find yourself standing behind The Tall Man, there’s plenty of space to move around and be comfortable whilst still enjoying great atmosphere and there’s easy access to the bar which delightfully remained open throughout the show. At one stage I moved away from The Noisy Chatty People and ended up behind The Tall Man, but fortunately he was also thin so was easy to look around. My guess is that the best view is probably from the circle boxes – note to self for next time. The tickets said the show would start at 8pm so we wandered into the auditorium at 7.45pm to find a DJ on stage whacking out some reggae hits. It felt pretty funky to old-timers like us, I wondered if that was what the Young People Of Today like to get up to on the average Wednesday night out. He was certainly getting everyone moving. I recognised most of the songs too. Bob Marley’s Jammin’, (no “g”), Janet Kay’s Silly Games, Ken Boothe’s Everything I Own; he even played Musical Youth’s Pass The Dutchie, investing it with more credibility than I ever imagined it possessed. I was hoping for Susan Cadogan’s Hurt So Good – no luck – and I knew deep down he would never play Carl Malcolm’s Hey Fattie Bum Bum, but hope springs eternal. 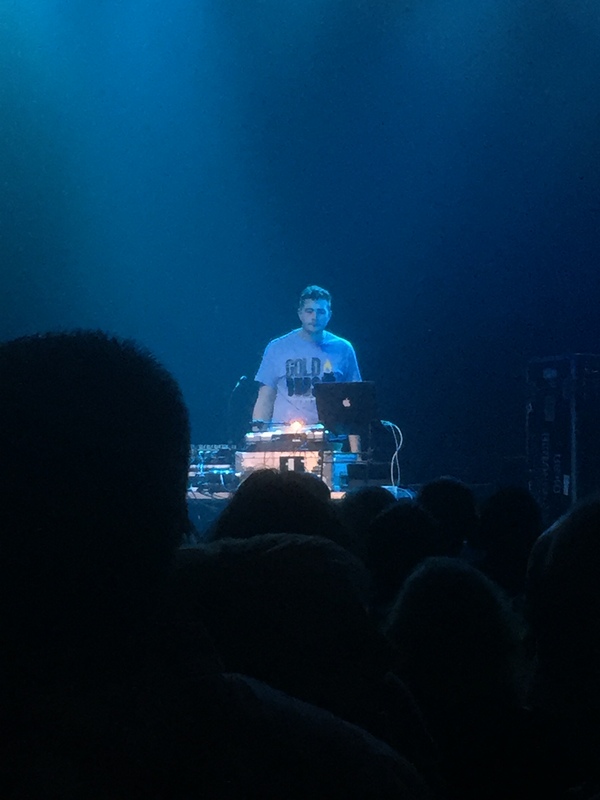 I had no idea the DJ would go on as long as he did though. By the time we’d gone past half-eight I thought this was stretching the credulity of a warm-up act. I get the idea of the celebrity DJ but he was hardly Boy George. Really it was just a geezer playing his favourite records. Then he asked “are you ready for UB40? I said, are you ready for UB40? ?” Yes we were, in fact we’d told him twice. Then, with sundry reggae sounds still coming through the speakers, he slowly dismantled all his equipment, winding up cables, shutting down laptops, packed it all into his rucksack and toodled off. Cue for UB40, you might have thought. But no, there was still bags of time to go back to the crowded bar for Emergency Shiraz and it wasn’t until about 9.10pm that the UB40 chaps finally appeared. What an extraordinary back catalogue the group have given us over the years. Loads of old favourites – not only the aforementioned Johnny Too Bad, but also Many Rivers To Cross, If It Happens Again, The Earth Dies Screaming, Don’t Break My Heart, and there’s a Rat In Me Kitchen (what am I gonna do?) Yep, you guessed it, they didn’t play any of them. Isn’t it always the way? However, they did play lots of familiar stuff – One in Ten, Cherry Oh Baby, Sing our own Song, Food for Thought, plus those other great versions that I always associate with other performers – Can’t Help Falling in Love with You and Homely Girl. Red Red Wine got a massive reception – Kingston Town maybe even more. Some of the guys look terrific for their age, some a little less so – but, hey, let he who is without sin, etc. The group is now fronted by Duncan Campbell, as Ali and the others got involved in legal fisticuffs resulting in the fact that there are now two versions of the group touring. Who would have guessed UB40 and Bucks Fizz would have so much in common? They are instrumentalists supreme. I had forgotten to what extent the group’s sound relies on their brass section and Brian Travers, not looking a day over 25, is a master of the sax. It was great to see him still brimming with confidence and attitude, and loving every minute of it. Jimmy Brown on the drums, Norman Hassan on percussion and trombone, Earl Falconer and Robin Campbell on guitars, plus new recruits Laurence Parry, Martin Meredith and Tony Mullings work together to create an amazing sound – a wall of reggae – and it was fantastic to witness it. The concert also looked great – with very effective lighting, and just a simple presentation with no stupid gimmicks to get in the way. However, as Mrs C pointed out, when you hear a lot of their songs together, particularly the ones you don’t know (and there were plenty of those), quite a lot of their output does sound rather samey. And while Duncan Campbell’s voice almost spookily resembles little brother Ali’s in tone and atmosphere, there’s definitely a lack-of-diction clarity issue here. In some of the songs he could have been singing a shopping list for all we could make out. Despite these issues it was a very enjoyable night and I am really pleased to have finally seen this group for whom I held such reverence in my younger days. They have a few more dates in their UK tour between now and early July before blitzing the theatres and arenas of the land throughout October. A great blend of nostalgia with contemporary. What’s not to like? 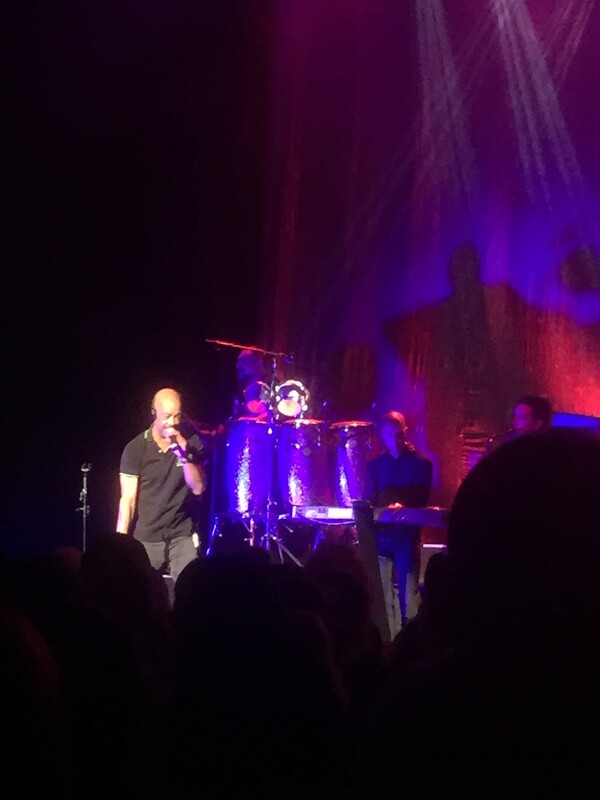 This entry was posted in Music and tagged chris sparkle, Derngate, Northampton, reggae, UB40. Bookmark the permalink.